As a practitioner led company, the BOP Educational Philosophy works to ensure the continued journey and growth of the Jazz art form. The company’s exciting and innovative Creative Jazz Dance & Theatre Programs are devised to reach professional dancers, graduate students, schools & colleges, teachers and the wider dance community. BOP aim to inform and nurture the creativity, innovation and excellence of all participants and share all aspects of the creative expression of the jazz dance aesthetic and jazz music traditions. BOP delivers a full range of classes, workshops, residencies and lectures in a wide variety of situations and settings. The company aim is to encourage, enlighten and enable all participants to engage and produce creative work of real value, inspired by the inclusive nature of the jazz tradition. BOP’s distinctive Jazz Dance Programs can work in conjunction with the current arts provision in schools (GCSE/A Level) and FE Colleges/Universities or as stand-alone dance masterclasses, workshops and residencies. Develop an understanding of Jazz dance techniques and skills. Musical interpretation through dance and movement. Creative and artistic discovery and personal through choreography and improvisation. BOP Jazz Residencies & Workshops have been presented at Arts Educational School . Central School of Ballet . Central School of Speech & Drama . Urdang Academy . LIPA . London Studio Centre . Elmhurst Ballet School . Laine Theatres Arts . The Hammond . Expressions Dance Academy . The Northern School of Contemporary Dance . The Place Easter & Summer Schools . Leap into Dance Festival . Woking Dance Festival . The Point Theatre Jazz Project . Kent Dance Enterprise . Nottingham Playhouse Theatre Seminars . Nottingham ‘Youth into Dance’ Program . The Glasgow Jazz Expo . Northern Ballet Theatre . The International Dance Teachers Association Seminars . Danes Hill School . Hextable School . Reeds School . Whitton School . Shene School . Richmond Upon Thames College . Lewisham College . Greenwich Dance . Richmond College . WAC Interchange Studios . YMCA Community Dance Programs for London & Surrey . Morley College – London . Peterborough College . Leap Into Dance – South Hill Park Arts . Trinity Laban Conservatoire of Music & Dance. IDTA Annual Dance Seminars. International workshops and residencies include: Wellington International College - Shanghai, China . 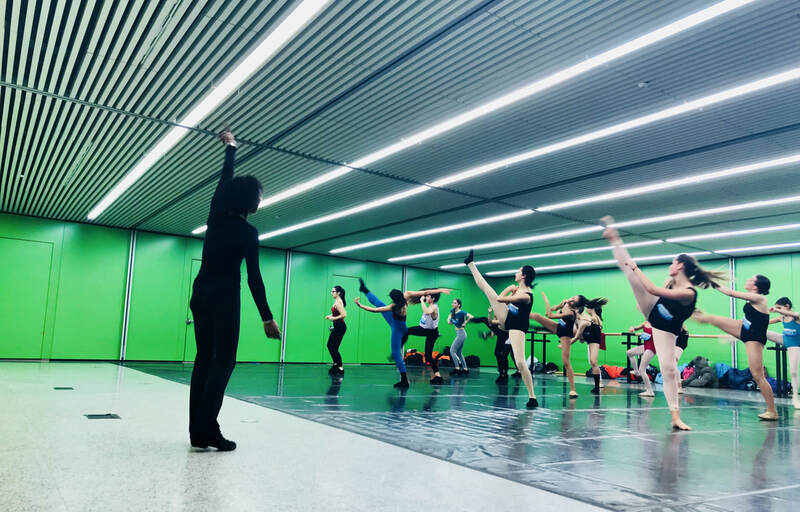 The Austrian Youth Ballet – Graz Austria . Malmo Dance City & Stockholm Balettakademien – Sweden . Jerusalem Dance Theatre – Israel . Klaipeda State Theatre – Lithuania . Broadway Dance Center & Dance Space Inc, New York . LMLA Girls Education – Harlem New York . Faison Firehouse Theatre - New York . Beacon High School – Grenada W.I . Hamburg Theatre School – Germany . Klaugenfurt Summer School – Austria . Suzhou Ballet Company – China, Shawbrook Dance – Rep. of Ireland . Rytmix Dance Studios – Konin Poland . Kielce Dance Theatre – Poland . ESDU Dance Seminars in Serbia, Croatia, Austria and Hungary . IDO Association – Ljubljana Slovenia . Dance World Cup – Spain. So'Dance Soulac Sur Mer - France . Stardanze School, Valencia Spain . To enquire about booking BOP to visit your school or organisation ... Please fill in form below and we will get back to you.